Polycab India's share price: Polycab India is engaged in the business of manufacturing and selling of wires, cables and other electrical goods. Polycab India raised Rs 1,346 crore via shares sale in the initial public offering (IPO). Shares of Polycab India made a strong market debut on Tuesday. The stock opened at Rs 633 on the on National Stock Exchange (NSE) and rose as much as 22.86 per cent to Rs 661.50 from its issue price of Rs 538. On the Bombay Stock Exchange (BSE), Polycab India shares rose as much as 22.67 per cent to touch an intraday high of Rs 660. The electric wires and cables makers had sold shares of face value Rs 10 in the price band of Rs 533-Rs 538 in its initial public offering (IPO) between April 5 and April 9. Polycab India raised Rs 1,346 crore via the shares sale in the initial public offering (IPO). Polycab shares saw huge demand as the IPO received 91.5 crore bids for its shares compared with 1.76 crore shares on offer. That marked a subscription of 51.89 times, making it the first Indian IPO to see a subscription of more than 10 times in 2019, according to news agency Reuters. At 12:20 pm, Polycab India shares traded 3.05 per cent higher at Rs 652.30 on the NSE. 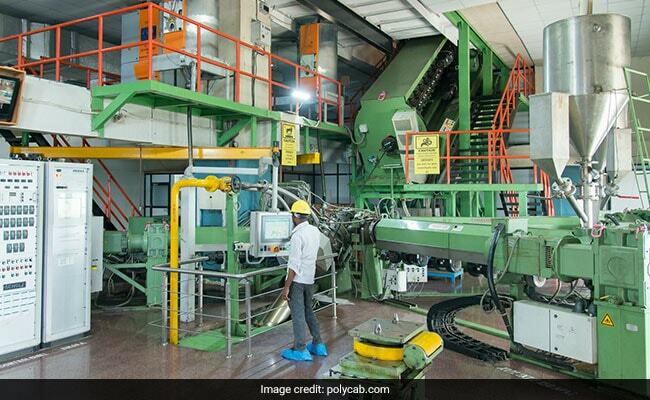 Mumbai-based Polycab India is engaged in the business of manufacturing and sales of wires, cables and other electrical goods. It is the latest in a slate of companies taking themselves public, riding on a bullish run in broader markets.